What a contrast! There were 102 people who boarded a small sailing vessel; there were over 2000 who boarded a massive ocean liner nearly 300 years later. Humble Pilgrims were passengers on the Mayflower. They knew that this world was not their true home (Heb. 11:13; 1 Pet. 2:11). They were not seeking riches or earthly fame. They merely wanted a land where they could worship God according to the dictates of their own consciences in view of the clear teachings of the Scriptures. They were willing to suffer great hardships in order to gain this freedom. The passengers on the luxurious Titanic included many rich people who were accustomed to enjoying all earthly comforts. They delighted in the fine things which this world had to offer. Many were godless, and in their false sense of security boasted, "Not even God can sink this ship!" 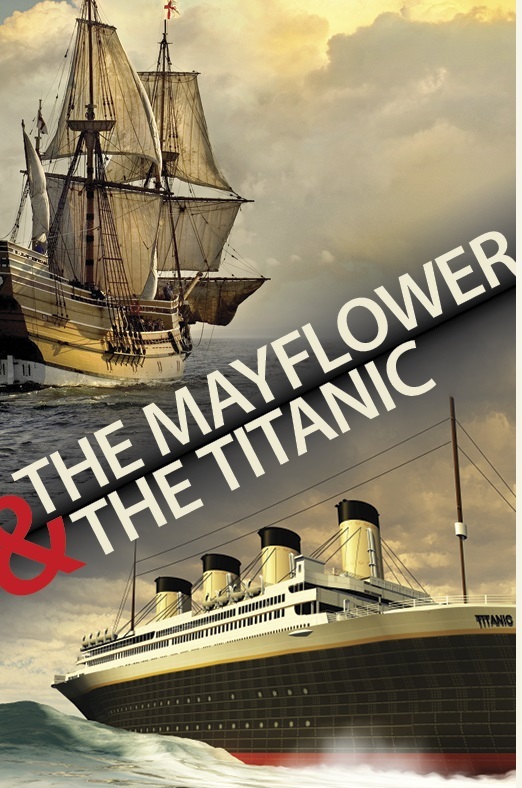 Those on the Mayflower trusted in God and were delivered; those on the Titanic proudly trusted in this world system and the majority perished. Dear friend, which vessel represents the object of your trust?